The race is free for spectators. VIP passes are available for purchase, but are not necessary to enjoy the race. 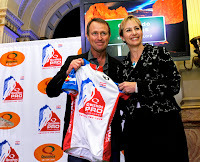 July 28, 2011 Can fans ride a stage of the USA Pro Cycling Challenge? 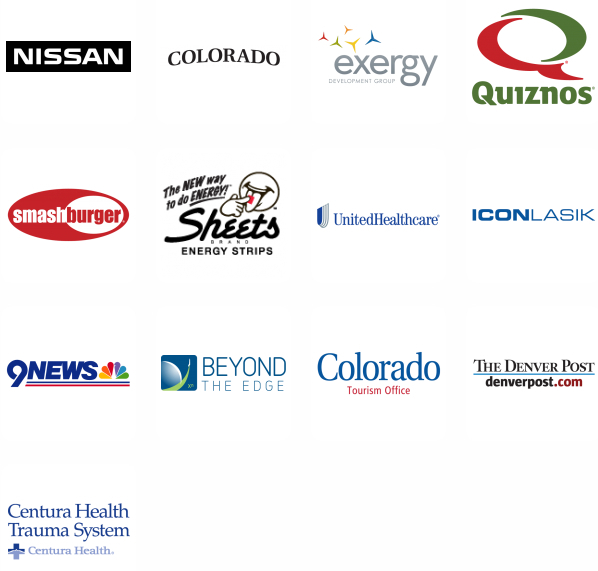 Just as folks figured out the race was not called the Tour of Colorado, but Quiznos Pro Challenge, the race organizers have changed the name again to USA Pro Cycling Challenge, and then again to USA Pro Cycling Challenge for Millennium Promise or USAPCCMP (usapececempe), anyone else confused? The name might be long but it better describes the race. 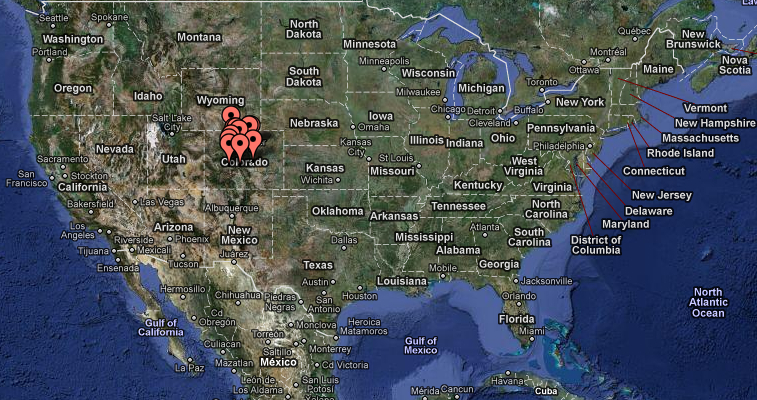 The dates are the same (August 22-28, 2011), the place is the same Colorado. The race name, logo, url, and twitter name were changed on April 5, 2011. This is all good news. For the first time in a professional sporting event in the U.S.A., the USA Pro Cycling Challenge announced the donation of the competition's presenting title sponsorship to Millennium Promise, the leading international non-profit organization solely committed to helping end extreme poverty. 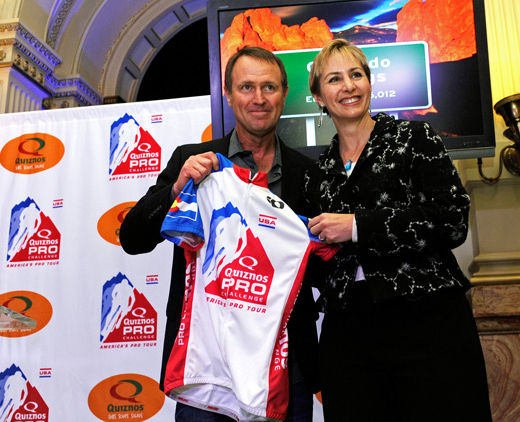 The new official race title is now "USA Pro Cycling Challenge for Millennium Promise,"
A new professional bike race is coming to Colorado in 2011. This UCI 2.1 ProTour race is called USAProCycling Challenge. I have so many cyclists, fans, and perhaps citizens visiting the PedalDancer.com bike blog looking for information on this stage race, that I have decided to provide what information I have discovered about the USA Pro Cycling Challenge planned for August 2011. 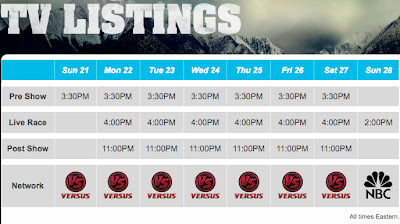 General description of the USA Pro Cycling Challenge (formerly called the Quiznos Pro Challenge, never called the Tour of Colorado): The event is called a stage race. The same group of riders will race day after day for 7 days with no rest day. Although the Grand Tours in Europe (Tour de France, Giro d'Italia) are up to 3-weeks in length, and the Tour of California is an 8-day race extending over 2 weekends, the Colorado tour will be a quick 1-week race from Monday August 22nd through Sunday August 28th. What this is, is the opportunity to get in on the first year of a small event that has a chance of growing into a bigger event in the future. If you want the race to remain, it is very important to attend. This is where your presence matters. 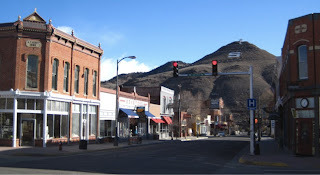 Riders, team management, organizers and supporters will stay over night in the small Colorado towns to awake the next morning and race again, traveling from town to town along the route. The atmosphere of chasing the tour can be lots of fun, or simply coming out for a stage start or finish can be equally exciting. Generally the race will start between 10:30am-12:30pm each day and end between 3:00-5:00pm each day, depending on length of the route and conditions. Opportunities to be a fan along the route abound and are free (unless you would like to pay for a VIP package experience). I love cycling in Colorado and I love professional bike races. I am excited about the possibility of seeing some of the best in the world race in Colorado - and I want you to be excited about it too. 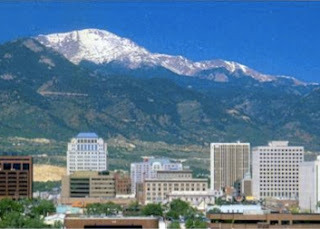 I hope visitors come to our beautiful state of Colorado and realize how much we have to offer. August is the perfect month to be a tourist in Colorado, and the route passes through a few of our best towns. 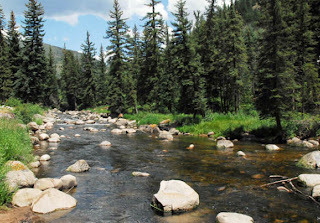 Come enjoy the Rocky Mountains in August 2011! The 8 participating Union Cycliste Internationale (UCI) ProTeams announced that will definitely be attending the race are: Leopard-Trek, Garmin-Cervelo, BMC Racing Team, HTC-Highroad, Liquigas-Cannondale, Team RadioShack, Saxo Bank-SunGard and Rabobank. There are also four Pro Continental teams UnitedHealthcare Pro Cycling Team, Team Type 1, Skil-Shimano and Team Spidertech. Three Continental squads Bissell, Exergy and Jelly Belly-Kenda. Plus two teams from Columbia will be rounding out the roster at 17 teams total. Team Rosters includes Ivan Basso, Cadel Evans, Andy Schleck, Frank Schleck, Tom Danielson, 2 Columbian teams, and a LOT of Americans. Plus some favorites of mine: George Hincapie, Philip Deignan, Edward (I am Ted) King, Laurens Ten Dam, Dave Zabriskie, Stuat O'Grady and Jens Voigt! The race will begin with a Prologue in Colorado Springs, and follow with six stages totally 7 straight days of racing, with no rest days. This is the planned route and stages (Stage 1 is on day 2). Host Cities Map: a map location of the Host Cities can be seen at http://www.usaprocyclingchallenge.com/host-cities/ with information and links on each city (the new race name is USA Pro Cycling Challenge). 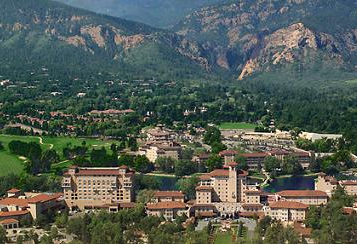 Take a tour with at a cycling tour company to see the USA Pro Cycling Challenge. By far the best tour packages I have seen are through VeloSport Vacations (20 years experience), the official travel sponsor for the USA Pro Cycling Challenge. Their VIP travel packages can be found on their website, or read about and purchase travel packages that range from $1995.00 - $2695.00 (with a helicopter) at this link. 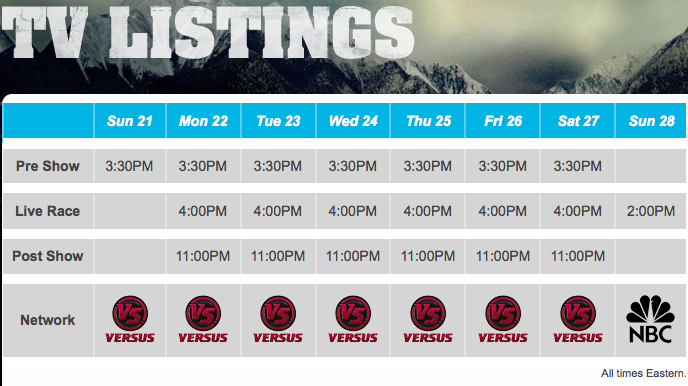 These are race viewing packages, not cycling tours. Lizard Head Cycling Guides offers a guided cycling tour experience in and around the race, but does not include every stage, taking in other good riding in the state instead. and then call the hotel directly to make a reservation or ask if they have special online deals. 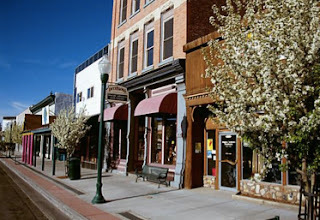 Bike Shops in Vail/Edwards/Avon/Minturn: Moontime Cyclery 0105 Edwards Village Blvd # B-105, Edwards, CO, 81632 USA, 970-926-4516, Mountain Pedaler 161 Main St., Minturn, 970-827-5522, and 101 E. Second St., Eagle, 970-328-3478. Bike Shops in Steamboat Springs: Orange Peel Bikes 1136 Yampa St., Steamboat Springs, 970-879-2957. The Shack, 740 Lincoln Ave., Steamboat Springs, 970-879-9975. Columbine Cafe, 109 S. Main St., Breckenridge, 970-547-4474. For more information about VIP packages for USA Pro Cycling Challenge see the official website at this link USA Pro Cycling Challenge VIP Packages. Remember, however, that you may see the race free at the start and finish and many areas along the route. * VIP travel packages Travel Packages offered by VeloSport Vacations including three different 4-day, 3-night tour packages (Midweek Mountains, Final Weekend, Vail Time Trial). 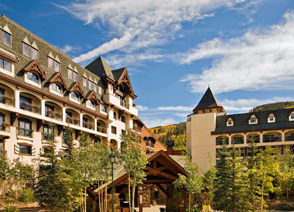 Packages range in price from $1995 - $2695 per person, with the Midweek Mountains package including a helicopter ride over Maroon Bells! These are VIP travel and viewing packages, including airport transfers, hotel, VIP access, buffets, gifts, TV in VIP suites at the start and finish areas, access to press conferences at the race and more. They are not cycling or riding tours. The active hard working people at Bicycle Colorado are providing news on camping for the USA Pro Cycling Challenge in Colorado. They bring the fans good news that roadside "European Tour Camping" will be allowed for this event. 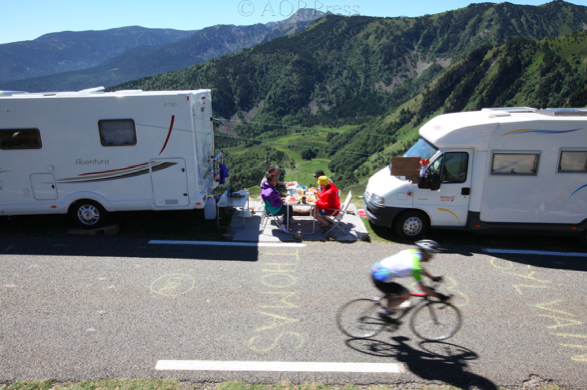 Please read more at: Camping for USA Pro Cycling Challenge Fans on race route, European-style Race Spectating comes to Colorado. My intent is to help you enjoy the race while understanding that the most important goal of the organizers of the race is to keep the riders and citizens safe. Both the route of the Prologue and the route of the Individual Time Trial on Stage 3 in Vail will be closed during the entire time of the race. This is to allow for the constant stream of cyclists along the route in 1 minute intervals. Road Marshals will be in place along the route. The other stages will have rolling full road closures. These will be expertly coordinated by the Colorado Highway Patrol, local city police and event staff. There will be 10 CHP cars and 10 motorcycles policemen traveling with the race for the entire distance of the Tour. Road closures should only close the road for 20 minutes as the caravan/convoy moves along the road. Any on-coming traffic headed toward the race will be pulled over by motorcycle police and moved off the road. Full closure means that all lanes of traffic will be cleared from the road, in both directions as the rolling closure progresses. All side traffic attempting to enter the road will be stopped until the race (and all support vehicles) pass through. Imagine a Presidential security convoy moving through a city, this is what the race will look like over 80 to 130 miles. Mountain Pass Closures: mountain passes are generally closed for the duration of time it takes one car to complete the entire distance over the pass, and then double that time for complete safety. The exception is Cottonwood Pass which will close at 3:00pm the day before the race to allow for work to be completed on the gravel road to reduce the washboard (bumpy road). 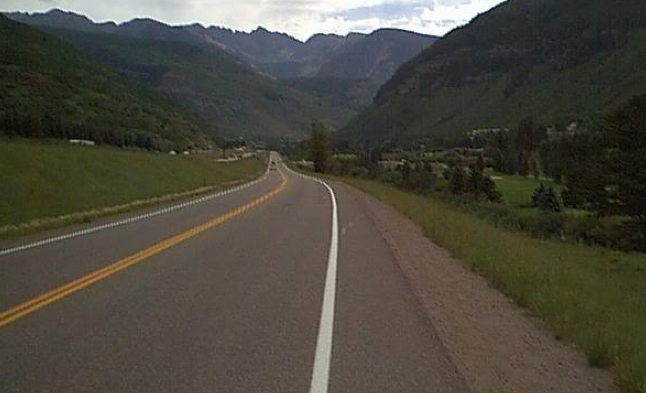 According to CDOT: Cottonwood Pass closed: August 23 at 3:00 pm until August 24 at 1:00 pm. According to USA Pro Cycling Fan Advisory the passes will be closed at noon. Cyclists will be able to continue to ride on the roads, but will should get off the road (and will be told to get over) as the race approaches. 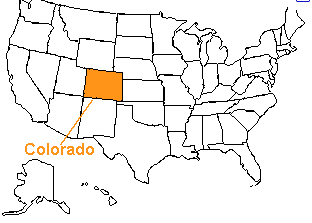 *Colorado is at dry altitude. Training and hydration are very important. Carry water, food, and a jacket on all climbs. Cell Phone coverage is not guaranteed on all mountain passes or in valleys. don't drink out of the rivers. There is no official L'Etape citizens race in conjunction with the USA Pro Cycling planned yet. Who knows if they will have one in years to come, but I hope they will. The Amgen Tour of California finally had their first ever L'Etape du California this past May after 7 years of the race. That means as cyclists, you will most likely need to make cycling the route and watching the race happen for yourself, although you do have two organized options (that I have found). * Amateur Time Trial Date: August 22nd, 2011 Location: Colorado Springs. Prior to the Pros riding the same course. I am trying to find more information bout this event for amateur cyclists. Be one of the few to participate in a once in a lifetime experience and race head-to-head with the world's top professionals! Just before the professional peloton starts the 2011 USA Pro Cycling Challenge, a select number of amateur athletes will race over the official 5.18-mile prologue time trial course in Colorado Springs. Experience the same precise timing as the pros, the cheers of the crowds lining the course, and professional officiating by UCI officials for a chance to compare times against the professionals. Proceeds go to the Pikes Peak Cycling Society to help support the costs associated with attracting and hosting the Prologue of the 2011 USA Pro Cycling Challenge. Space is very limited and tickets are $750. Less than 15 spots are left. 1. come early and ride the weekend before the race begins, or stay and ride after the race. 2. find a person willing to drive sag support, so you may ride sections of the stage routes. 3. ride out to the route in the morning, cheer like mad, ride back, backtracking after the race has passed through, to your same hotel, tent or car. Or move locations in the early morning (before the road closes) or in the evening (after riding). 4. see a stage, ride a day, see a stage, ride a day, etc., skipping around the actual stage routes. Prologue: cycle between the start in Garden of the Gods and the finish in down town. 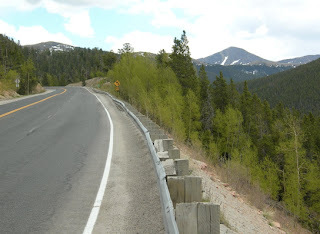 Stage 1: ride from Salida up Monarch Pass. 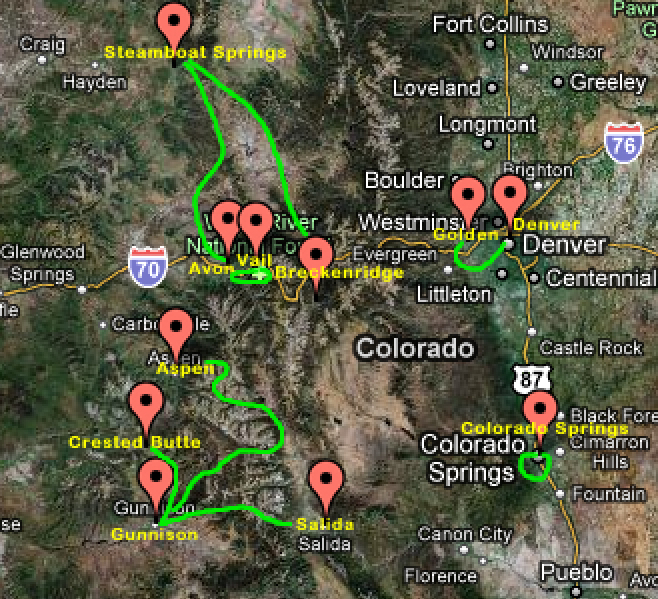 You can complete this entire route to Crested Butte by bicycle with sag support. 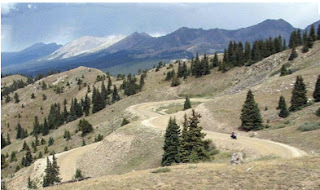 Or ride from Gunnison to Monarch Pass. Or ride from the town of Crested Butte up to Mount Crested Butte (3 miles) the only mountain top finish in the Tour. 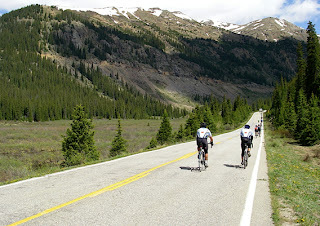 Stage 2: ride up Cottonwood Pass, or ride up Independence Pass. Entire route discouraged, but possible for both fast and experienced cyclists only. Stage 4: you can complete this entire route by bicycle, with sag support. 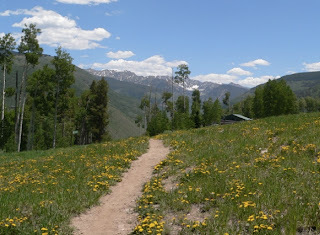 Or ride from Vail to Avon and back. Local route Copper Triangle recommended (but not on race route). 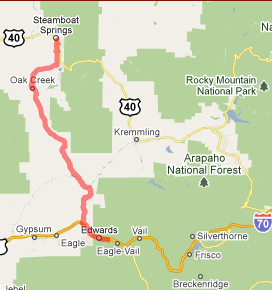 Stage 5: ride up Rabbit Ears Pass, or ride up Swan Mountain Rd, or into the town of Breckenridge. 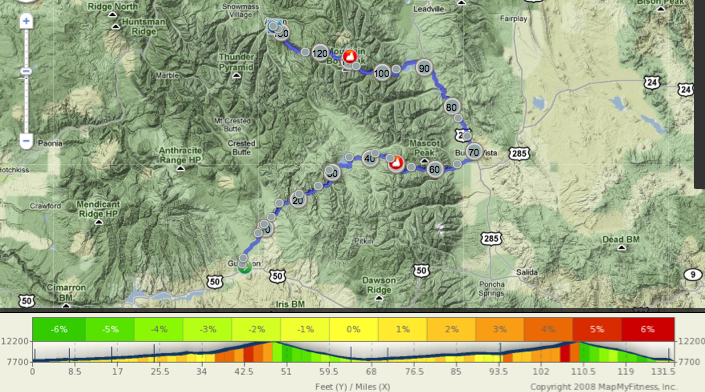 Stage 6: ride up Lookout mountain, or ride your cruiser bike to any other area along the route or into downtown. 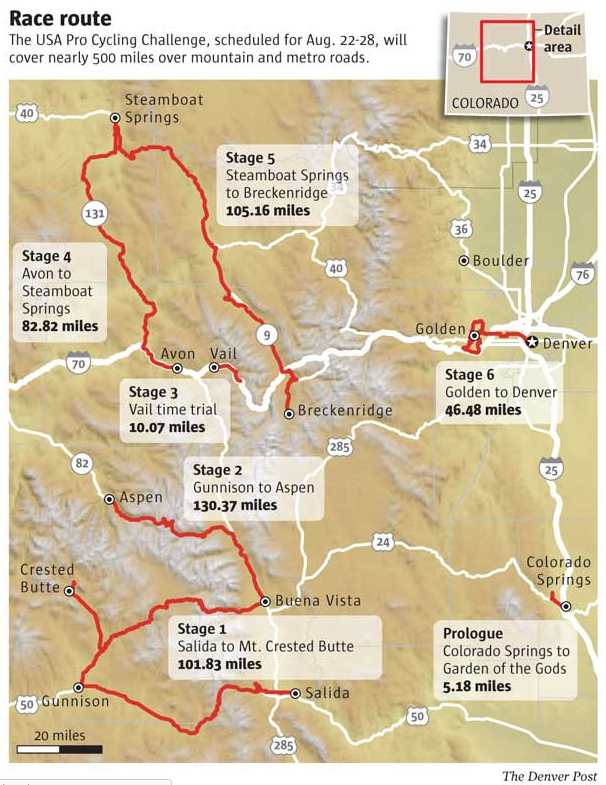 Being able to see a start and finish in the same day will be restricted to the Prologue which is only 5.18 miles long (bring a bike to get around), or the 10-mile time trial in Vail - (definitely bring a bike). 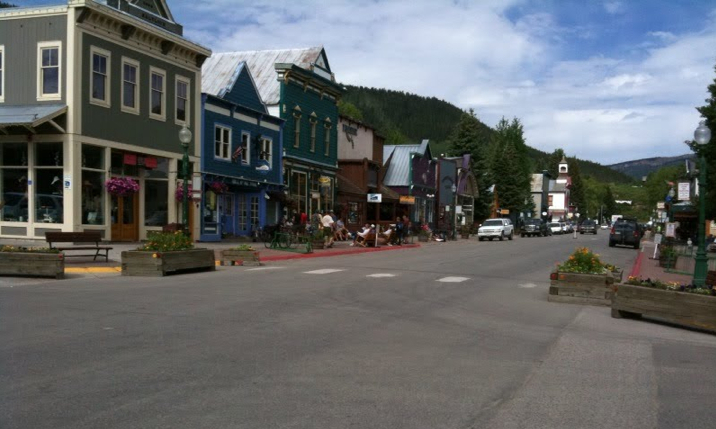 After Stage 1 departs Salida, you can drive into Crested Butte via Cottonwood Pass (road closes at 3:00pm), the event organizers say you will be able to make the finish in Crested Butte. You can depart after the start in Golden immediately (depending on where you park your car!) and get to the finish in Denver, but you probably won't make it to the finish if you wait for all three entry/exits of the riders around Golden. When riding a bike in Colorado, safely estimate 14-16mph, as your average ride time to allow for stops, regrouping, picture taking, weather, finding water (no domestiques) and food (no feed zones for you). Add in our famous altitude as an explanation for slower climbing speeds, and you realize why it is geographically and physiologically improbable to do it all on most stages. There are also long stretches of road without water or facilities. Race route roads will have rolling closures. Sag support vehicles may not be able to accompany their cyclists at every point on the stage. Mountain passes will experience full road closures hours before (or even the night before) the race. Weather in Colorado: Mountains - Cool nights (50s), crisp mornings, bright clear sunburn hot mid-day temperatures (80s), afternoon rain showers, great evenings. Denver (80s-90s). Stage 2: Gunnison to Aspen. 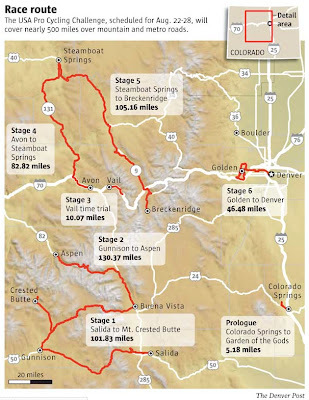 For those claiming they will ride the entire 131.1 route of Stage 2 on race day, 100 miles in Colorado is a big deal, the Triple Bypass is 120-miles of a really big deal. 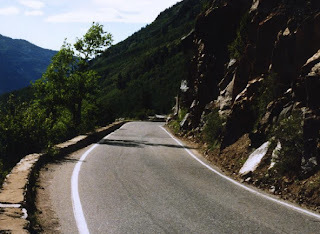 Anyone who has ridden Ride the Rockies or Bicycle Tour of Colorado will tell you, you could be biting off more than you can chew for a race day ride (I am telling you that, and I've done the Lourdes - Tourmalet - Luz Ardiden loop on a day of the Tour de France). This route is perfect for a 2-day ride. Riding hard, stopping for a couple hours and riding hard again - is well, hard. If you departed Gunnison at 6:00am on bike, you could reach Twin Lakes (91 miles) between 11:30-1:00, just at or past road closure cutoff time to climb Independence Pass, you might be able to climb it, you might not. They will allow bicycles to ride on the road after it is closed to vehicles, but you will need to stop and get over as the race comes through. If you rode Gunnison to Buena Vista over Cottonwood Pass, you might arrive to a waiting car by 10:30. It is a 1/2 hour drive from Buena Vista to Twin Lakes, where again you will just make or miss the cut off time for Independence Pass by car. Sorry to be a party spoiler. But if you must ride the entire stage, I would suggest heading out very early in the morning, and trying to get as far as you can along the road before they close it for the race. Then ride the remainder after the race passes through. Booking it in Colorado will achieve 18-19 mph for an amateur, standard will be 13mph. You have the dirt climb of Cottonwood Pass (slower speeds), and then Independence Pass, which comes at 110 miles into the route of Stage 2. Allow 6 hours at booking it and 9 hrs at standard speed to get to this point, plus more time to gather water and food. Allowing for race and road closures you are looking at a 9-12 hour day and some stretches with no source for water. The sun will rise at 6:19am, and set at 7:41pm. Cottonwood Pass will be closed to vehicles at 3:00pm the day before the stage to allow for work on the gravel road. Cars can return to the other side of the Collegiate Peaks by going back over Monarch Pass and around. 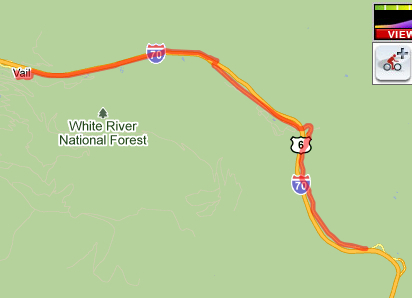 Or wait until the road opens up considering the traffic coming off the mountain pass. Hopefully some entrepreneur will be selling water at the top, otherwise no sag support and no gas station up top. Any cyclists trying to climb up Independence Pass after the race should be aware of the car, foot, and bicycle traffic descending back down the road toward them. * Cell phone coverage in the mountains of Colorado can be spotty, it may be difficult to contact all members of your group throughout the day. Also fueling yourself at altitude for a 131 mile climb should not be taken lightly by flatlanders, unless you have acclimated and trained well for this type of riding. I would advise having checkpoints and a plan B for your sag support. And maybe make that sag wagon a sag truck. The good news is that they will be allowing roadside camping just as they do in Europe. The state highway police will have a 10 car and 10 motorcycle team traveling with each stage of the tour for the length of the Tour. It is believed they will be allowing camping along the roads as long as the cars and campers are safely off the road. The active hard working people at Bicycle Colorado have provided good news about camping for the USA Pro Cycling Challenge in Colorado. They bring the fans good news that roadside "European Tour Camping" will be allowed for this event. Please read more on the Bicycle Colorado website at: Camping for USA Pro Cycling Challenge Fans on race route, European-style Race Spectating comes to Colorado. The race organizers think it will take the (fully supported) Pros upwards of 5.5-6 hrs (23-24 mph) to ride Stage 2 (Ted King rode part of the route last week in 5 hours). The fact that the race begins at 9:45am, and the organizers estimate the finish time into Aspen to be between 3:00 and 4:15pm, means they have no idea how long this route will take the pros to race. I've never before seen an hour and fifteen minute window of estimated arrival before. I am encouraging you to pick your point and be happy with it. The point is to have fun at the event! There will be no scouts out there waiting to sign you up for your dream pro team. You still have plenty of choices this year, and more reason to come back again next year to try a different combination of rides. 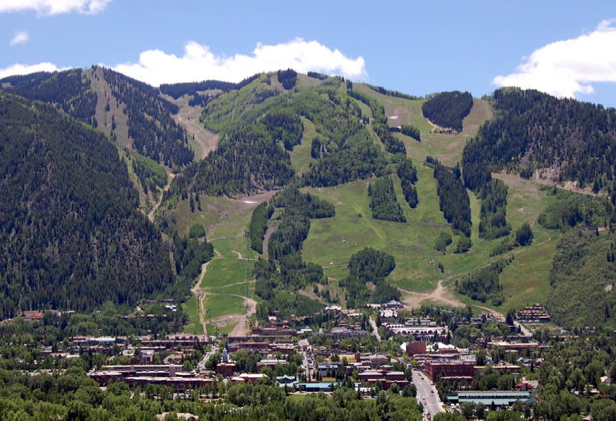 Chances are you will land in Crested Butte, Aspen, Vail, Steamboat Springs or Breckenridge and enjoy it so much you will not want to race out of town anyway. For this year begin your planning by deciding if you want to be in a start city or finish city, which days, and where you want to see the race. 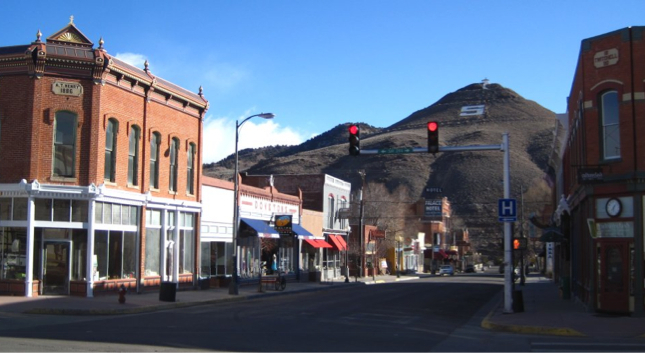 Stage 4: 82.8 miles between Avon and Steamboat Springs has very little services or population in the miles between these two towns. If you plan to ride the stage you will definitely need sag support for water. It is best to leave early in the morning to begin your 82.8 mile ride to Steamboat Springs. After about 5 hours on your bike you could arrive into Steamboat in time to see the finish. Cottonwood pass will be closed the day before the race (at 3pm) to allow for work on the gravel road. It will reopen after the cyclists have passed and spectators are allowed to descend. Other vehicles should probably return to the east side of the Collegiate Peaks by going back over Monarch Pass and around. Any cyclists trying to climb up Independence Pass after the race should be aware of the car, foot, and bicycle traffic descending back down the road toward them. This section is intended to help you enjoy the race while understanding that the most important goal of this race is to keep the riders and citizens safe. You goal is to allow enough time to be safe to others, not be disappointed, and arrive relaxed and ready to have FUN! Being out on the road as a fan is a fabulous experience. Being in the mountains of Colorado is even better! Full road closures: the routes of the Prologue will be closed the entire time during the race. The route of the Individual Time Trial on Stage 3 in Vail will be closed all of the time. This is to allow a constant stream of cyclists along the route. Rolling road closures The other stages will have rolling full road closures. These will be expertly coordinated and should only close the road for 20 minutes as the caravan/convoy moves down the road. Non-tour vehicles will be allowed to precede the race and follow the race. Any on-coming traffic headed toward the race will be pulled over by motorcycle police. Mountain Pass Closures: mountain passes are generally closed for the duration of time it takes one car to complete the entire distance over the pass and then double that time for complete safety. The exception is Cottonwood Pass that will close at 3:00pm the night before the race to allow for work to be completed on the gravel road to reduce the washboard (bumpy road). The good news is that road side camping will be allowed, so those fans wanting to get to the mountain pass can stay overnight. 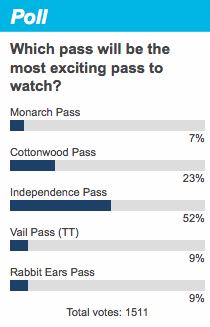 According to USA Pro Challenge Fan Advisory, Independence Pass will be close in both directions at noon. Chasing the Tour: if you are moving your vehicle it is best to do so in the early morning before the race or in the evening after the race. Cyclists who are riding during the day, during the time of the race, should plan on being self supported on the road just in case. Once again, for this tour I think it best to chose your one location as a fan and enjoy it fully rather than trying to do it all. Towns are so numerous in Colorado, why not wait out the traffic while having a local meal after being a fan, then move on. Most of the host cities plan to have huge screen TVs for fans to view the race, they are also planning music and fun events. The race will impact numerous highways and in order to prepare motorists, CDOT has posted details on its traveler information website (www.cotrip.org). For real-time information related to highway impacts, motorists are encouraged to sign up for CDOT’s email and text alerts, available at www.coloradodot.info by clicking on the green cell phone icon, and are encouraged to follow CDOT on Twitter (@coloradodot). Daily road closure information during the event will be available by calling 511 from anywhere in the state. August 22/Day 1/Prologue in Colorado Springs: Highways impacted include I-25, US 24, and Business US 24. Impacts will begin at noon and end by approximately 4:30 p.m.
August 23/Day 2/Stage 1 from Salida to Mount Crested Butte: Highways impacted include State Highway 114, State Highway 135, US 50, US 285, and Cottonwood Pass. Cottonwood Pass will be closed from August 23 at 3 p.m. until August 24 at approximately 1 p.m. Other impacts will begin at 9:45 a.m. and end by approximately 4:30 p.m.
August 24/Day 3/Stage 2 from Gunnison to Aspen: Highways impacted include State Highway 82, US 24, Cottonwood Pass, and Independence Pass. Cottonwood Pass will be closed from August 23 at 3 p.m. until August 24 at approximately 1 p.m. Other impacts will start at 11 a.m. and will last until approximately 4 p.m.
August 25/Day 4/Stage 3 Vail Time Trial: I-70 will be impacted from 11:30 a.m. until approximately 4 p.m.
August 26/Day 5/Stage 4 from Avon to Steamboat Springs: Highways impacted include I-70, State Highway 131, and US 6. Impacts will start at noon and end by approximately 4 p.m.
August 27/Day 6/Stage 5 from Steamboat Springs to Breckenridge: Highways impacted include I-70, State Highway 9, State Highway 134, US 6, US 40, and Rabbit Ears Pass. Impacts start as early as 9 a.m. and will end by approximately 4 p.m.
August 28/Day 7/Stage 6 from Golden to Denver: Highways impacted include I-25, I-70, I-70 Business (Colfax Ave.), State Highway 58, State Highway 93, State Highway 95 (Sheridan Blvd. ), State Highway 121 (Wadsworth Blvd. ), State Highway 391 (Kipling St.), and US 6. Impacts begin as early as 5 a.m. and will end by approximately 3 p.m. This day is made for TV coverage, from the air the scenery will look awesome. Bring a copy of the Prologue (rider) schedule with you. Also bring a cheat sheet of team jerseys (unless you know them by heart). No matter where you are on the course for the Prologue, you will be able to tell who will be coming next if you know the rider's jersey and the time. The riders pass by so quickly it is difficult to tell who is who in a flash of a moment, unless you have seen the riders for years. This is the day to enjoy the atmosphere of being at the race. View the video (link above), for a sampling of what the course will look like, and to help you decide where you want to be. 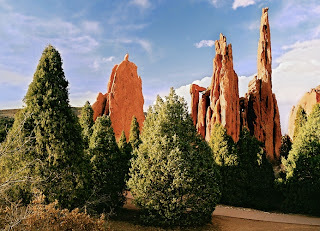 The route will be most beautiful inside Garden of the Gods park. There will be festivities in downtown Colorado Springs. Community events and activities in the area: What's happening around town? Riders will be warming up on their bikes on spinners in the morning or afternoon. Riders do not ride around the area, but will venture out to say hello to family and friends. Expect the route to be barricaded through heavy traffic zones, with a few points for crossing. Also expect the VIP area to be fenced off, and likely take up the prime viewing area (they do need to make money remember). The VIP area can be really annoying and block the path of non-paying fans. Accept it as simply part of the day. Riders will then approach the start gate (and sit in an area in chairs awaiting their start time) and race the time trial individually in set time periods. Start times should be published, so you will know which riders are starting at what time. You will see a steady flow of riders take the start and ride the race course. You can watch them roll down the start ramp, watch them maneuver a corner mid-course, or see them race across the finish line. (There will be a clock at the finish line, where you will also be able to hear the announcers). There may be some large screen TVs set up near the finish area. After a rider races, they will not be out in public view, they will rest inside eating and drinking and receiving a quick massage to prepare for the next days race. After all riders have finished there will be a formal awards presentation by two lovely Podium Girls, where the Leaders Jersey will be given to the rider in 1st place. A beautiful introduction to what Colorado has to offer cyclists, and a fun day (and night) for fans. Community events and activities in the area: What's happening around town? 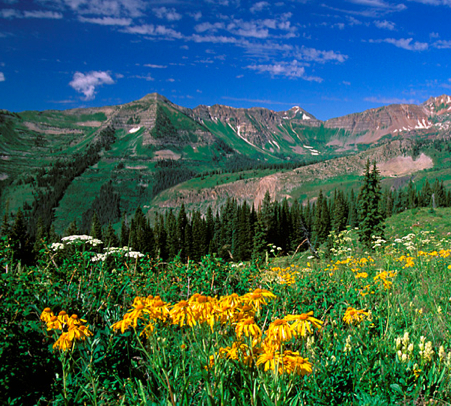 Crested Butte: has a festival, beer garden and lived music planned as well. 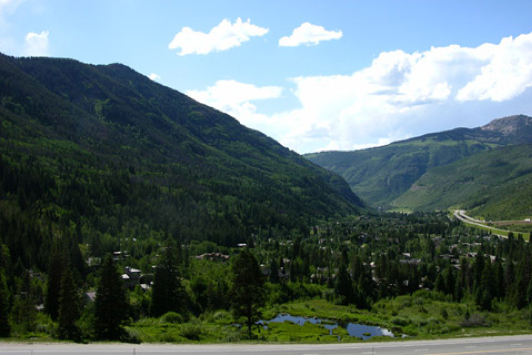 Read more about the town plans for the community USA Pro Challenge in Crested Butte and Gunnison. The best race viewing options will be at the casual start village in Salida, on the top of the climb of Monarch Pass (although they will pass over the summit very quickly), or a very fast finish into the town of Crested Butte. 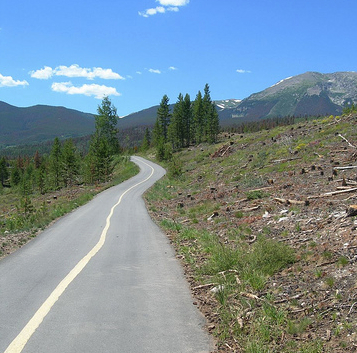 Option A) Fit riders will be able to ride the entire distance from Salida to Gunnison or Crested Butte. Although you may not be able to make the entire distance before the racers come through. Option B) Monarch Pass is a 23-mile ride west of Salida. 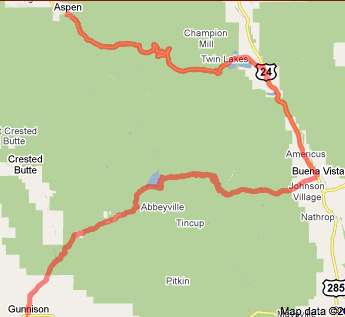 Option C) The ride from Gunnison into Crested Butte (very nice town) is a gradual uphill 27.7 mile ride. You will be able to drive from Salida to Crested Butte over Cottonwood Pass in time to see the finish on Mount Crested Butte. Or wait until the road opens and follow the race. Or precede the race. 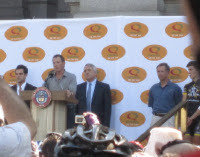 The USA Pro Cycling Challenge is coming to Colorado, August 22-28, 2011. The town of Gunnison has a lot planned for the community and fans, including a special for Kids on bikes to be able to race off the official start line at 10:15 a.m. The Queen Stage Downtown Expo kicks off in downtown Gunnison at 8 a.m. Read more about the town plans for the community USA Pro Challenge in Crested Butte and Gunnison. Community events and activities in the area: What's happening around town? 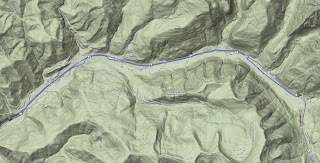 The best race viewing options will be at the start area (possibly near the town park or College) in Gunnison, CO, picnicking along the route near the river on CO Road 742 outside of Almont or at Taylor Park Reservoir. Also anywhere along the climb of Cottonwood Pass, or watching the peloton quickly pass through the town of Buena Vista, or anywhere on the climb of Independence Pass, or at the finish in the picturesque town of Aspen. 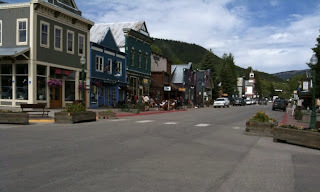 Aspen is a town with plentiful cafes and bars to await the finish. Option A) If you are based near Crested Butte or Gunnison, riders with a sag support, can ride over Cottonwood Pass (spectating the race at the summit) and then descend into Buena Vista to meet their sag support vehicle in town (sag support must drive via Monarch Pass, or go the day before (the pass will close at 5m the night before), or well after the race when the road reopens). Option B) If you will be based in the town of Aspen, definitely climb up the west side of Independence Pass to watch the riders come over the summit before the finish back in town. If you have a bicycle, the best experience is always riding part of the route, and spectating on the mountain passes. The road to the summit will close to cars sometime shortly after noon. 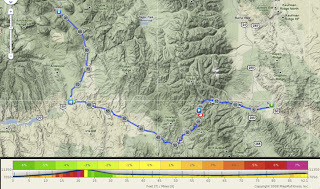 Option C) If you are based in Buena Vista or Salida (and saw the start in Salida), you will then have the option to ride either Cottonwood Pass or Independence Pass to see the race in route on the summits. The road to the summit of Independence Pass will close to cars sometime shortly after noon. There will be no driving on Cottonwood Pass from the Gunnison County side starting at 5 p.m. on Aug. 23 (the night before!) (3pm from the east side) so crews can put the final touches on the gravel road. Western State College will provide shuttles from Taylor Park on the morning of Aug. 24 to get you as close as possible to the action or plan to ride your bike or hike up from the road closure point. 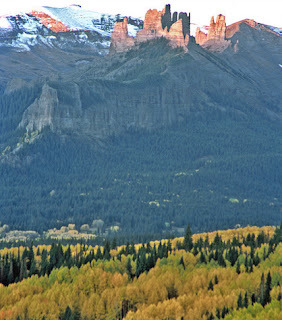 Gunnison is approximately 34 minutes, by car, south of Crested Butte. 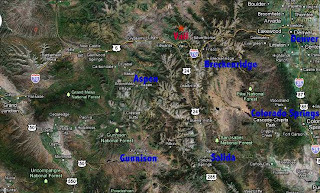 There are two options to drive to Aspen the western route through Hotchkiss and Carbondale into Aspen (3hr 45min drive). Or the eastern route back over Monarch Pass to Buena Vista following the race route over Independence Passnd into Aspen (3hrs 15mins). They will enforce rolling closures of the highway along the race route to insure rider safety, this would certainly restrict car traffic, so beware. The road over Cottonwood Pass will close at 5:00pm the night before. I would recommend selecting and getting to your viewing station and either hiking, biking, or eating to pass the time with friends or family. Also the road on the the west side of Independence Pass from/to Aspen is very narrow, an RV campervan will be a tight fit. Both of these passes are closed in winter. This course was last used in the Coors Classic in 1988. When I first rode the route I could read the old names remaining on the road, you can still see some names today. You will not be able to drive within 3 miles of the finish, so bike or walk, Bring food and water and a jacket. They will have shuttle buses to the base of the climb for fans. Expect large groups of crazy fans on the climb up Vail Pass, arrive early. First rider will begin in Vail central at 1:00pm, riders are space 60 seconds apart, the last 10 riders will be 2 minutes apart. Team arrive at 11:30 in town. There are weigh-ins but no sign-ins at Time Trials. Remember that what goes up must come down, both riders and cyclists have to get back down the path/pass. The organizers say you may have time to get back down to Vail for the podium awards. No paint on the road, only chalk. This is basically a one-way time trial. Fans that are on the pass will be there until the last rider finishes before being able to descend, so enjoy. The last miles of the ITT will be THE scene for cycling fans on the finish near Vail Pass. Expect an experience similar to the Prologue Stage with the added beauty of the mountain setting, but perhaps with increased limited access, movement and parking. 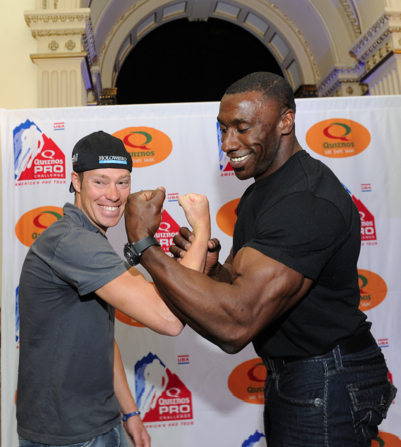 Read my tips and description of the Prologue Stage here at: Quiznos Pro Challenge Prologue route. Community events and activities in the area: What's happening around town? You will want to be on the road up to Vail Pass to watch the effort before or at the finish. Option A) Ride into Vail over Vail Pass. Mileage from Frisco to Vail is approximately 27 miles one-way. The ride is easy from Frisco to Vail, but a steep climb back from Vail to Frisco. Option B) Ride from the town of Edwards 14.5 miles west, or from Avon 10 miles west. These towns are relatively flat, slight uphill in the eastern direction. August except a few restaurants and shops. 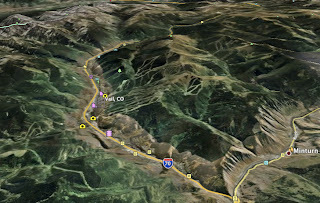 For any cyclist coming to this area with a road bike, there is a fantastic 82-mile loop ride in this area from Vail, it is called the Copper Triangle. The route can be viewed on an earlier post of mine at Copper Triangle Bike Route. You will need to combine road and bike path riding to complete the loop, but it is worth it. This is one of my favorite bicycle rides in all of Colorado! The scenery and challenge is just perfect. 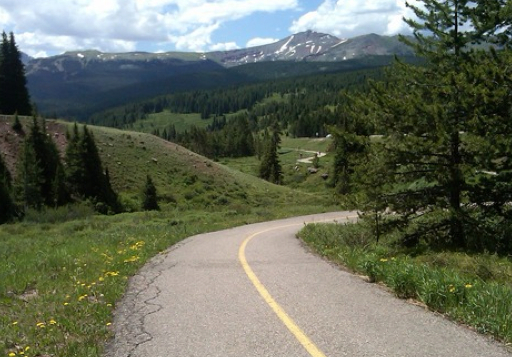 Another good bike ride in the area is from Frisco or the (ski) village of Keystone up Loveland Pass and back. 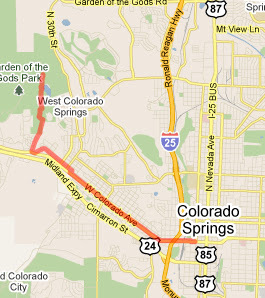 Or another is from Frisco to Vail and back (on the bike path). 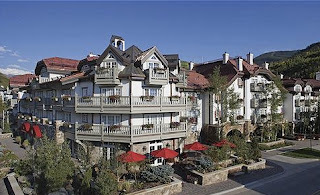 Parking is a bit limited in the central town area of Vail, there are large multiple-level parking complexes, parking along the frontage road might be restricted to allow for the actual race route. 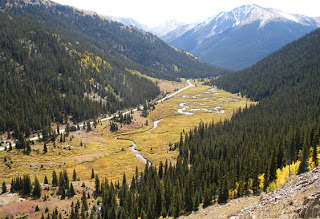 Vail is a 126-mile drive west of Denver, CO. Vail is a 105-mile drive from Aspen, CO, the location of the previous day's Stage 2 route from Gunnison to Aspen. 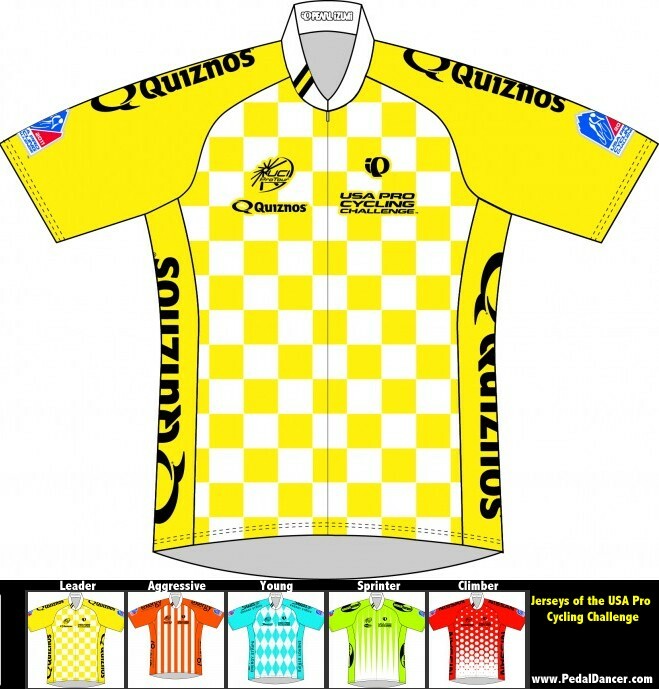 The USA Pro Cycling Challenge (Quiznos Pro Challenge) race then moves north to Steamboat Springs on Friday, the day after the time trial, only to return back to nearby Summit County on Saturday afternoon. If you plan to chase the race, you'll need to move accommodations, only to return to the area later. 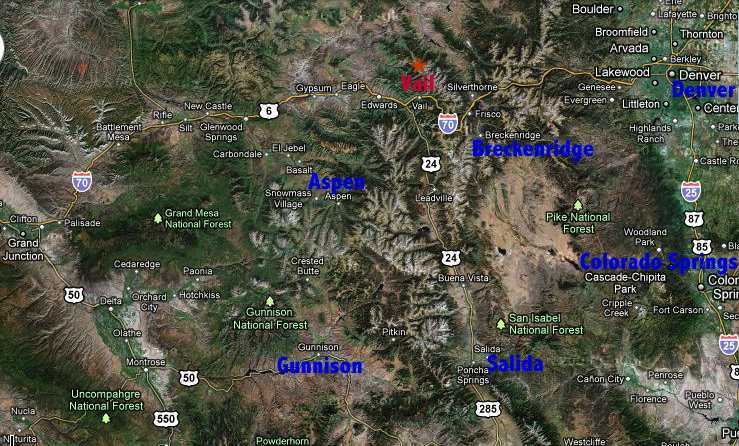 I might dare to recommend arriving for the time trial, staying in Vail or Summit County, riding the Copper Triangle route (see map below) on Friday, and then catching the finish in Breckenridge (great atmosphere) on Saturday. I do encourage giving the towns that host the race your financial support, but the organizers of the USA Pro Cycling Challenge (Quiznos Pro Challenge) designed the race route oddly. 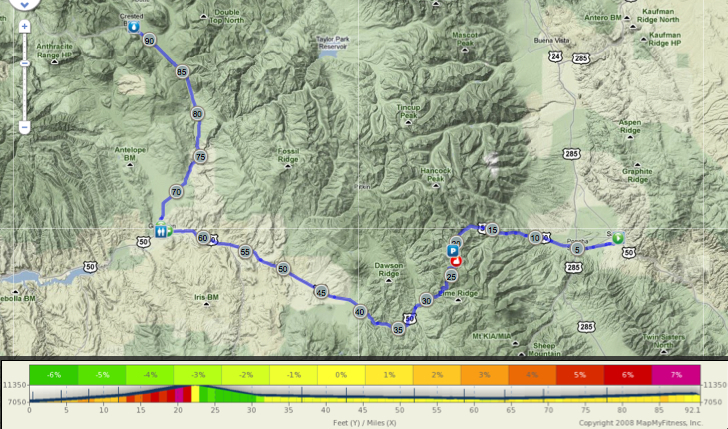 If you do transfer to Steamboat Springs, you can see the finish one day and the start the next morning. I wouldn't plan on making it to Breckenridge for the finish that same day due to road closures and traffic. The traffic into Breckenridge on Hwy 9 can be slow. 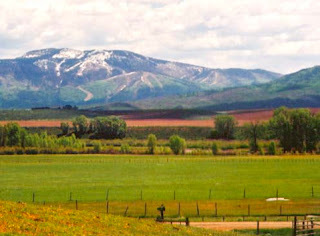 Steamboat has a fun cowboy atmosphere and is ranch/ski town. Plenty of accommodations. 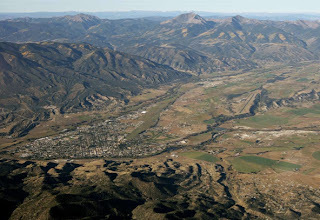 The Sprinters will speed into the rukus cowboy town after wondering if anyone lives in the countryside between Avon and Steamboat. So many choices. Watching the start in Avon will be easy and fun. Avon is a 10 mile bike ride down river from Vail. Being in Steamboat for the finish, staying over night, and then being there in the morning for the start, should be a blast for fans. I recommend Steamboat. Community events and activities in the area: What's happening around town? 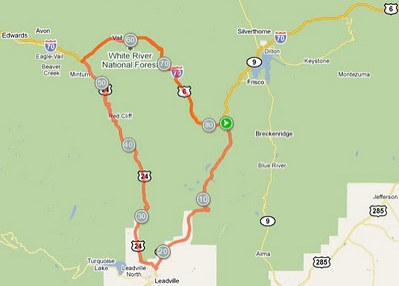 In the morning you can ride your bike up Rabbit Ears Pass to watch the race come through. 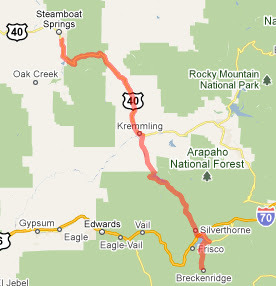 It will be possible to ride the entire route of Stage 4 by bicycle if you have sag support, but the major road is not all that thrilling, there is much better riding closer to Breckenridge including the road to Loveland Pass, Montezuma, and the road/bike pass through Frisco, Copper Mountain, Vail Pass. Trying to take in the start in Avon and the finish in Steamboat (by car) in the same day, will leave you a 30 minute window that could be taken up with parking and traffic jams on either end, and may cause you to either barely make, or barely miss the finishing sprint into Steamboat Springs. It is a 2'45" drive from Avon via I-70 and Hwy 9 into Steamboat. Or following the stage route either 30 minutes before the race, or after they reopen the road will be a 1'45" drive time. Picturesque days in Steamboat Springs and Breckenridge, with fast racing in between. Picturesque days in Steamboat Springs and Breckenridge, with fast racing in between. For the real cyclists you will want to spend the night in Steamboat to see the finish of Stage 4, hang out in town and go out at night, and then get up and find those team buses in the morning (about 1.5 to 2 hours before the race start the team area will begin to wake up). Or go to the sign-in stage to watch the riders come and go. Option 2 is to skip Steamboat and head to Summit County to ride your bike to Breckenridge for the finish (why not take in Loveland Pass or Vail Pass while you are at it). Come by bike if at all possible. Summit County means outdoor activity at it's best, plus everyone should experience riding a bike at 9900ft! If you want to see the start in Steamboat, stay the night before. If you plan to head to Summit County, allow sufficient time for traffic, stay the night before the stage, or come early! Remember to bring all your supplies in the car (or on your bike) for the day and simply head in early to enjoy the entire scene. Plan on being in Summit County in the morning and having a picnic or lunch - the scenery is gorgeous! The key to watching a stage is to dress correctly for the weather, wear good shoes, bring water and snacks just in case, bring a map of the stage, bring a list of rider numbers (roster), and be sure to take some rests in there for the kids, since the day can be long. Also I like to support the local community kind enough to welcome the race into their town - so buy a little something locally if you can. Racers will head south on Highway 9, veering right at the roundabout onto Park Avenue, and follow Park to the south end of town before making a left turn to head north on Main Street. The race will continue through town on Main, finishing at the intersection of Main and Wellington. Community events and activities in the area: What's happening around town? Where can we park during the race? Parking will be available at various lots throughout town and will be well- signed the day of the race. Various road closures will be in effect as the race approaches Breckenridge, so be prepared to arrive early and allow for tansport from satellite lots. The Airport Road Satellite lot will have shuttles bringing guests into town. Spectators are encouraged to ride their bikes to the race and utilize the recreation paths. Bike parking will be available in the lot behind the courthouse (501 N. Park Ave. in Breckenridge); bring a lock. The Summit Stage is also a great alternative to driving and parking. Which roads will be closed during the race? 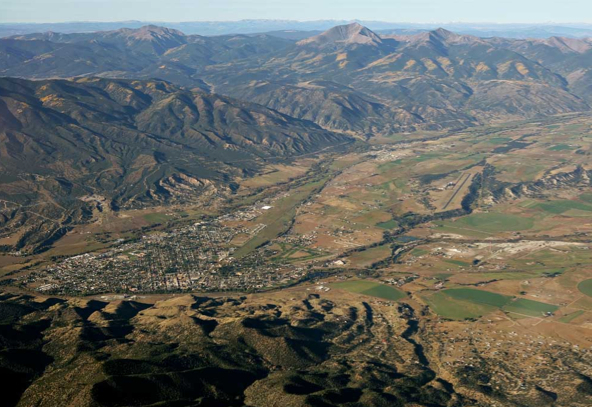 Colorado State Patrol will implement a rolling closure of Highway 9 from Steamboat Springs to Breckenridge as the cyclists progress southward. In Summit County, Highway 9 in Silverthorne, Highway 6 in Dillon, Swan Mountain Road and Highway 9 between Farmer’s Korner and Breckenridge will be subject to rolling closures beginning at approximately 1:45 and ending around 4:30 p.m. In Breckenridge, sections of Park Avenue and Main Street will be closed throughout the day. 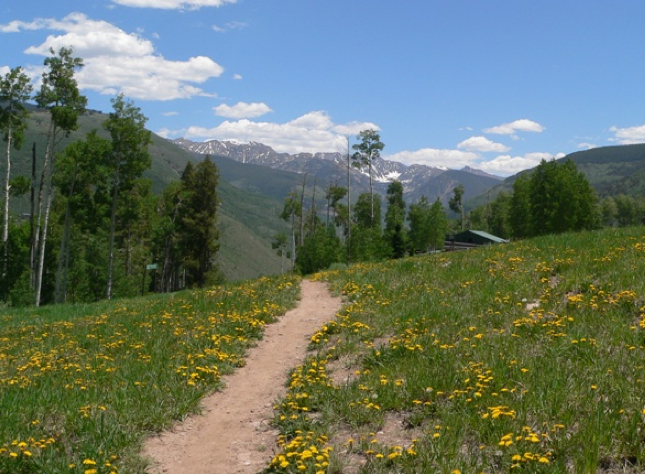 Tourists: There is great hiking in the area and mountain biking along the Colorado Trail. 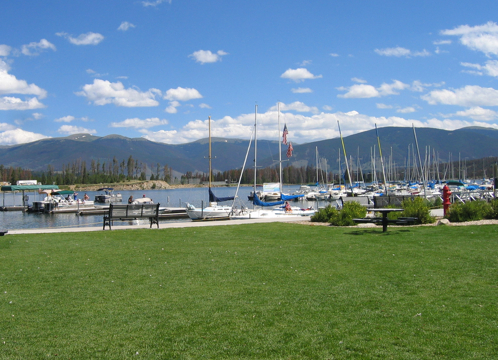 The nearby town of Frisco has a marina with sailing, kayaks, canoes, and motor craft. 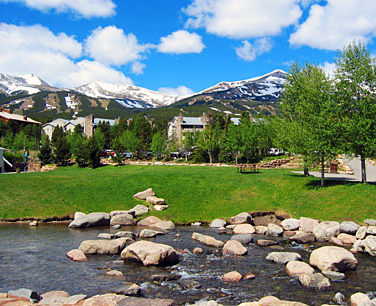 There is an alpine slide up Peak 8 in Breckenridge. The day will be one big road-side party, on the hills and outside of businesses and cafes, from the start in Golden to the finish line in Denver (and over the roads local cyclists in Denver know so well). A number of businesses in Golden plan to open their doors and really celebrate this event, this could be a fantastic weekend location to watch a stage start for fans. Golden will be prime viewing for the race as spectators can see the riders three times. The race will begin in downtown Golden do a loop north of town, return to town, ride up Lookout Mountain, loop back 1 block from the start line again, and then head east to Denver. The race is going through the fun Highlands neighborhood. Anywhere is Denver will be fine, yes they will zoom by, but the idea is to enjoy the event and atmosphere. Or volunteer to help at the race! If you are a cyclist, the 4-mile climb up Lookout mountain will slow the riders to a pace where you can actually see them up close. But the climb is short and so early in the race it will not be decisive. If you are in Denver, any location along the route will be fun. Ride your cruiser bike to the route or into downtown, people watch, enjoy the atmosphere. Yes you can see the start and the finish, but you drive around our big city all the time, why not stay and enjoy the race in your neighborhood. 1. How many days do you have to attend? 2. Are you on bike or in a car? 3. Do you want to ride sections of the route? 4. Will you stay for 1 night or 2-3 nights in one area? You will only be able to view one of these highlights/locations a day. Because the race routes in Colorado cover large highways or small 2-lane roads, don't overextend yourself and what is possible. Many of the mountain passes will be closed for an hour or two while the race is going on. 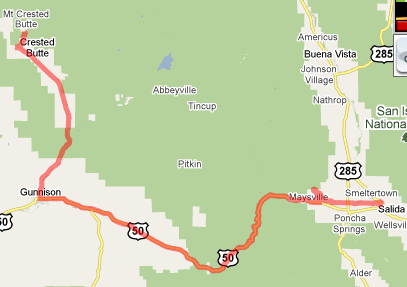 Also the traffic into towns like Crested Butte, Aspen, Steamboat, and Breckenridge can be very slow. Do not expect to see a start, ride the route, and see the finish in the same day - that is what the pros do, and they do it a lot faster than we can. The timing is not possible for fans. Start Area: Lots to see as teams and riders prepare for the days race, fun photographs & autographs. Finish Area: enjoy a meal before or after the finish. Often a very fast sprint finish to the line, limited rider viewing, but fun anticipation & event atmosphere. Stay over in the Finish Town - sometimes you will see riders and staff walking around the bustling towns. 9:00-12:00 - watching fans, staff, riders at the start area prepare for the day. 10:00-12:00 - the race begins from the start village, the road in the direction of the race will not  be passable while the riders are racing on them. *Cyclists Tips: Here is Colorado you can estimate 14mph if you are cycling in a group of friends on the mountain roads. This allows for stopping, regrouping, pictures, etc. The climbs here are steep and long and at altitude. Also allow for possible road closures on the climbs. If you plan to cycle out to a mountain top to see the riders come over the top, be sure to bring water, food and clothing with you. We get afternoon storms in the mountains in Colorado. After the riders pass the summit, you will be able to continue by bike, but by the time you reach the finish village miles away, expect the race ceremonies to be over.